As concerns continue to mount about the long-term health impacts of playing football, one Democratic lawmaker in New Jersey is looking to ban tackling from the game in leagues for children under the age of 12. 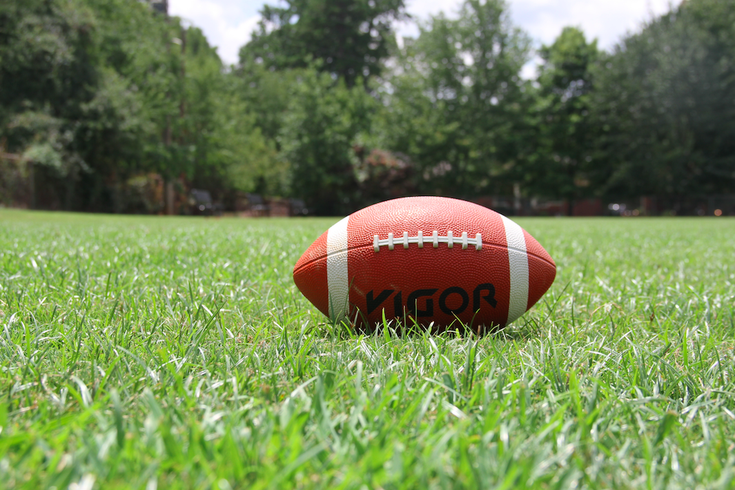 Valerie Vainieri Huttle, of Bergen, introduced legislation last week that would prohibit physical contact used to force opposing players to the ground, limiting kids 12 and under to flag and touch football. The bill applies to both youth sports organizations and school districts, which would be prohibited from allowing students under 12 years old from participating in tackle football during interscholastic athletics, intramural athletics, physical education programs or any athletic activity offered to students. New Jersey is now the fifth state to propose legislation to restrict or ban tackle football in youth sports organizations. Vainieri Huttle's bill comes less than a year after the American Medical Association published the results of a study on the brains of 111 former NFL players, finding that 99 percent showed signs of Chronic Traumatic Encephalopathy (CTE). "CTE is caused by repetitive hits to the head sustained over a period of years," she wrote in a statement attached to the legislation. "Athletes who begin playing contact sports at younger ages are at a greater risk for neurological impairment later in life, including CTE. Studies show that exposure to tackle football before the age of 12 is associated with a greater risk of neurological impairment than exposure to tackle football starting at or after the age of 12." The bill has not been warmly received by youth football coaches, several of whom were interviewed last week by the Asbury Park Press. Some of the coaches suggested that kids under 12 don't hit nearly hard enough to constitute such a serious threat. Others stressed the importance of teaching the fundamentals of proper tackling to ensure that these skills rise up the ranks of youth sports as kids get older. The New Jersey bill would affect several common pop warner groupings, from tiny-mites up through pee wee and beyond for older but lighter players. Another study published last week by researchers from The Children's Hospital of Philadelphia found that childhood concussions come from a variety of recreational activities. Contact sports, including football and soccer, accounted for about 40 percent of the 1,500-plus concussions evaluated in the study, which covered boys and girls. The NFL is clearly making changes to mitigate the frequency and severity of the hits that once defined the sport. Beginning next season, the league will institute a controversial new rule that prevents offensive and defensive players from lowering their heads prior to initiating contact. Whether or not Vainieri Huttle's bill gains support among her fellow lawmakers remains to be seen. None of the four other states with similar proposals have passed legislation as of publication.